Formerly with the City of Salisbury, Info Systems of NC, and DP Systems and Services, Carol brings over three decades of IT and maintenance management experience to DPSI. Carol is a founding member of the company. DPSI isn’t your average maintenance management software company. With competitively priced maintenance management solutions and CMMS/EAM software, DPSI has a successful track record of providing scalability in maintenance operations through active customer involvement. Maintenance management systems have become an essential tool for modern-day maintenance organizations. 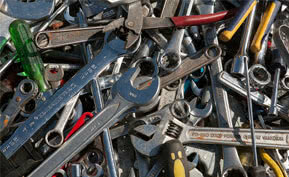 Maintenance control software enables organizations to record, manage and communicate their day-to-day operations. The software typically comes equipped with an inventory control module, which is used to track stocked, un-stocked and special order items that are moved in and out of inventory. Maintenance management software automates maintenance activities and allows for the organized and systematic tracking of an organization’s assets. 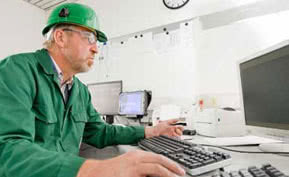 By managing maintenance operations more efficiently, maintenance control software improves how maintenance is performed and increases productivity, which translates into cost savings. DPSI offers affordable CMMS Maintenance Management and EAM Enterprise Asset Management Software solutions that reduce equipment and fleet downtime.